Animals in films tend to be on the funnier, joyful side of the scale. Their level of enjoyment though can border on tender/heart warming to just plain drivel/repetitive story. It takes a good story and careful balance from being on the shelf or the dollar bin. Luckily, Patrick has enough in its corner to keep it from the dreaded bin. 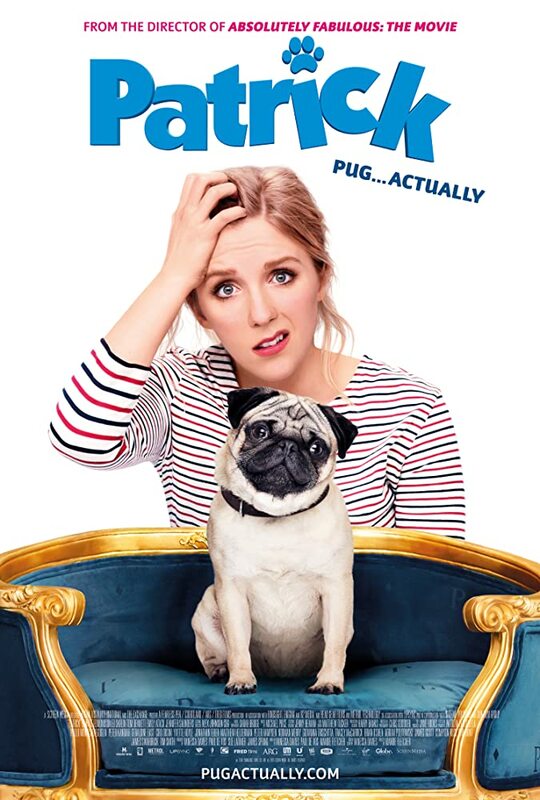 The film follows Sarah, played by Beattie Edmondson, who inherits a pug by the name of Patrick after her grandmother passes away. Sarah is not the fondest of dogs and with the added inconvenience of no pets allowed in her flat it is not the best match. What follows is a sweet, funny, light hearted story between Sarah and Patrick as they ease into each other’s company; Patrick not so much. What separates this film from others though is the flow of the story and its cast. Nothing ever feels forced or deliberate and the cast play off each other so effortlessly that they present a world I could immediately settle in to. Patrick of course is the star of the film and who could deny him that. He struts with a spunky swagger all his own that is hard to resist. Sarah also stands out as the whimsical woman unsure with her status in life. An added plus of the film is its playability to a wide range of audiences. The film is an animal friendly, romantic comedy that is able to have shared laughs with kids and adults. Much like watching Wishbone and Beethoven, Patrick can be added to the list of enjoyable k9s to bring a smile to its audience’s faces.